CDN Solutions Group has set up new standards of smart mobility solutions. As a top mobility service provider company, it is our duty to provide innovative solutions to our clients, whether it is to integrate your existing mobility system or you need a fresh solution, CDN Solutions Group is a scalable and flexible organisation, always providing you with the solution tailored to your specific needs. What does the term smart mobility exactly mean to us? A mobility solution that grows together with our city’s needs, that makes professionals’ life less stressful, that guides us through traffic and assists us in getting swiftly to our destination, that enhances safety and simplifies our work, that’s smart. A mobility solution that know you are going to reached home and you need to turn your home into smart home, that’s smart. 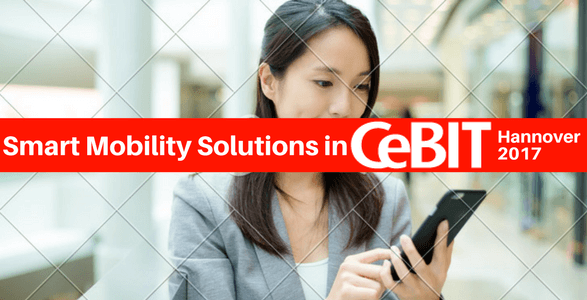 A mobility solution that know how to generate ROI for your business, that’s smart. A mobility solution that take care of your health and fitness, that’s smart. A mobility solution that take care your mood, that’s smart. Making things simple and efficient with mobility system, that’s smart. Implement mobility solution and get benefit, that’s smart. Bringing your system and make them work together, generate a machine learning environment with mobility system, that’s smart. Adding value through the most easy way, that’s smart mobility. Minimizing operating costs, that’s smart. With almost seventeen decades of experience in the industry, we support the growing mobility need of Enterprises, Retail, Consumers, Startups, etc with our innovative and creative mobility skills. Instore Protection System: We have developed an intelligent protection system against theft and ramraids for one of our client who is a Retailer. So if you have a retail or warehouse store then we can help protect it. Vehicle Security Solution: We have developed a vehicle security solution using Internet of things with hardware integration. Solution for Travel Industry: We have developed travel solution for one of our client that is built with exclusive road quality feature. The solution is classified with vibration sensing, pollution, noise and traffic management. This smart solution also gives you instruction about road quality. Smart Home Solution: Your phones are smart but homes are not. At CDN, we have worked on smart home solution for our clients such as locks and home security systems, automatically manage room temperature, smart solution for deaf and hearing impaired, full fledged home automated solution, etc. Feel free to contact us for your ideal solution. With 17 years of rich experience CDN Solutions Group is an exclusive IT service provider company that develop only exclusive solutions. At CDN, we have exhibited in many global trade shows from years just to know about the latest technologies so that we can also provide high tech, innovative and quality solutions to our partners. Do you have any idea to build for? Feel free to contact us here for bringing your idea to reality. This year, we are again exhibiting in CeBIT Hannover event to discover possibilities in digitalization. You can meet us for all IT related requirements at stand A33 in Hall 002 during the event i.e from 20th March 2017 to 24th March 2017 at Hannover Exhibition Grounds. Contact here to fix a meeting with us and also avail free passes for CeBIT Hannover 2017 event.